Rarely you may need to enter into Recovery Mode on an iPad Pro in order to restore iOS or update iOS software. The latest iPad Pro models without a Home button make the typical process of getting into Recovery Mode impossible however, so if you have a new iPad Pro 11 inch or 12.9 inch model without a Home button you might be wondering how to enter into Recovery Mode on the 2018 iPad Pro and beyond. We’ll show you how to enter into Recovery Mode on the 2018 model year iPad Pro 11 inch and 12.9 inch devices, and also how to exit out of Recovery Mode on the same iPad Pro models. You will need a USB cable and a computer with iTunes. Be sure you update to the latest version of iTunes on the Mac or Windows PC before beginning this process. You will want a backup of the iPad Pro handy before starting this process, as restoring may result in data loss otherwise. Once in Recovery Mode within iTunes, you can update the iPad Pro or restore with iTunes as usual. You can also use IPSW if necessary, though the IPSW file must be signed and matching the iPad Pro model as usual. You can find find IPSW files here if needed. Remember that restoring any iOS device may result in data loss, you will want to be sure you have a backup available to restore your data from, otherwise you may have data loss. 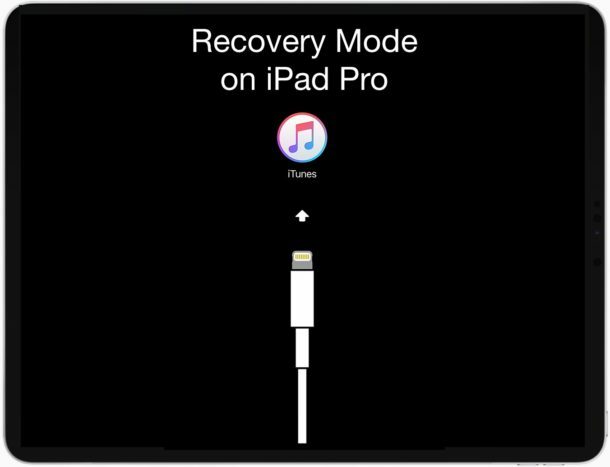 Remember that Recovery Mode is not as low-level as DFU Mode, but for most troubleshooting issues requiring a device restore, Recovery Mode on iPad Pro will do the job. DFU Mode is really only necessary when a device is completely stuck in an unusable or bricked state like during a failed iOS update or something similar. Note this only applies to the iPad Pro models without any button on the front of the device (the home button), meaning the 2018 model year onward, but only for the iPad Pro. The normal iPad continues to have a Home button, and the 2018 base iPad with a Home button can enter into Recovery Mode and DFU Mode the same as all prior iPad models with a Home button did. 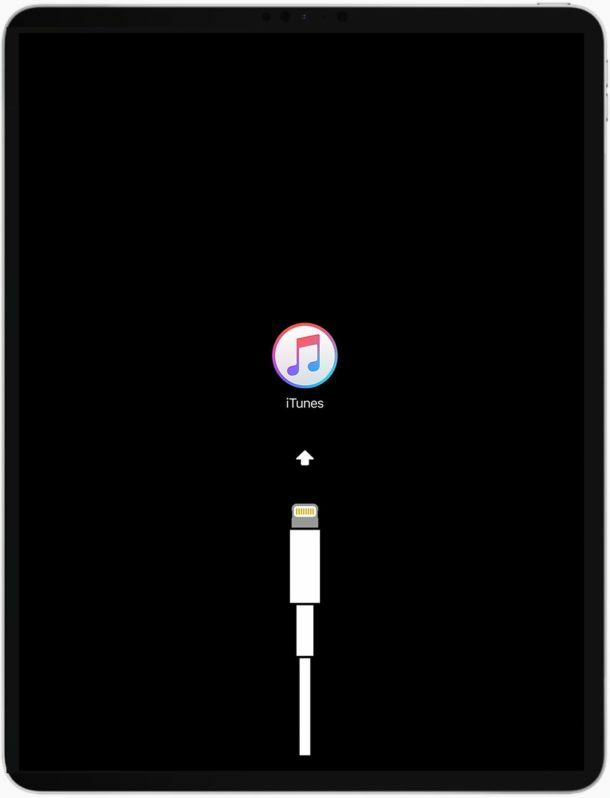 While this process may seem new and different from prior iPad models, it’s standard on all the new iOS devices that have no Home button. Other changes have come to the latest iPad Pro models as a result of removing the Home button too, including taking screen shots on iPad Pro as well as forced rebooting and entering DFU Mode on the device too. the procedure is same for iPad Mini 4? as i am not able to do so. am i doing something wrong? is there any other way? No, this procedure is for entering Recovery Mode on the new iPad Pro models, without a Home button, introduced from 2018 onward.